Landour, a small cantonment town contiguous with Mussoorie, is about 35 km (22 mi) from the city of Dehradun in the northern state of Uttarakhand in India. The twin towns of Mussoorie and Landour, together, are a well-known British Raj-era hill station in northern India. Mussoorie-Landour was widely known as the "Queen of the Hills". It is where a group of forty IAYP Silver level participants from Purukul Youth Development Society, Dehradun along with five escorts went for their Adventurous Journey and for them it was an experience they will never forget. 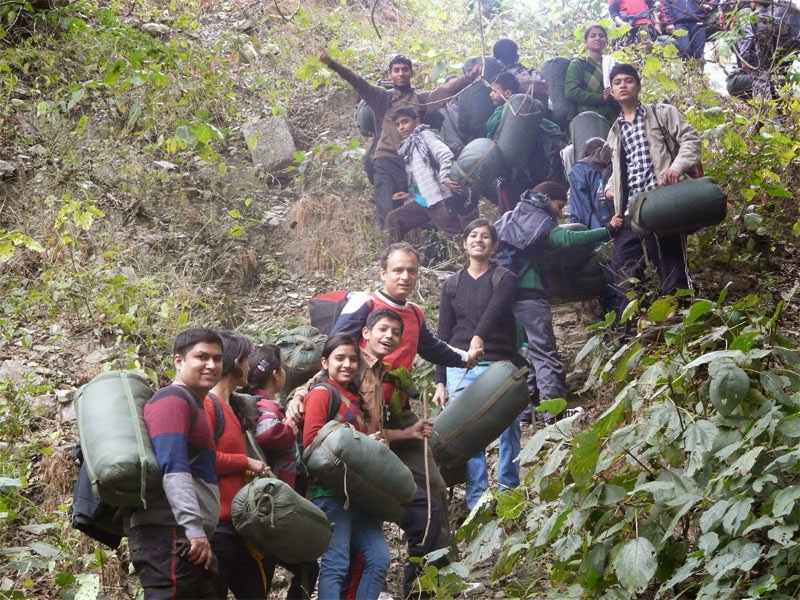 Their journey included a 16 km trekking from Rajpur to Landour, where they set up their base camp. This was was followed by a 12 km trekking to Khattapani and Ladur the next day and that is where they cooked lunch on fire. After returning back to Landour, next night they organized a cultural evening along with local children from an orphanage nearby. The final day involved a trek back to their home city of Purkal via Jhadipani and Rajpur.